Importance of good quality makeup brushes is underestimated. 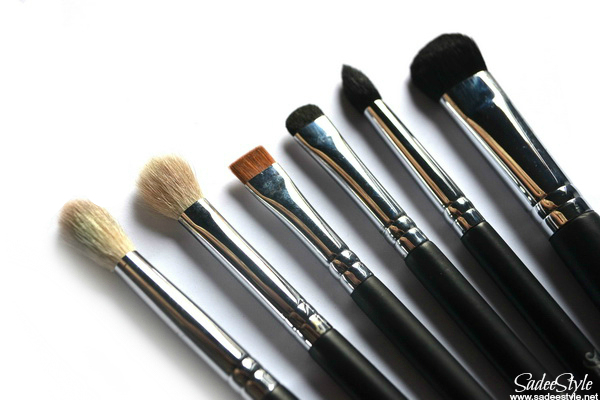 Quality makeup brushes are essential in the creation of flawless makeup look. I always wanted to have a professional makeup brushes set ever since I'm into blogging, there are a lot of makeup brushes brands are available in the market, but the question is what do we really need to in order to create a professional looking makeup look? 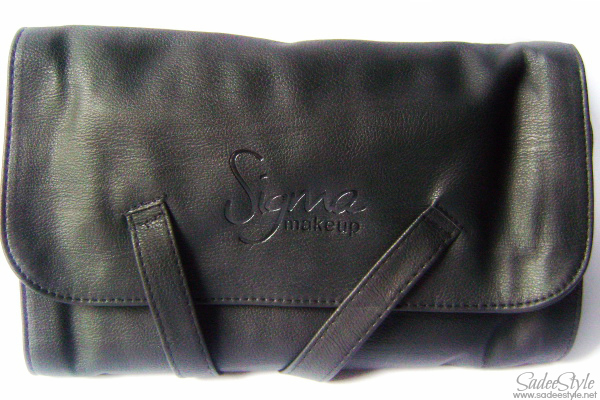 When I started blogging in 2011 there was a fuss about sigma beauty. Although MAC brushes were very expensive so I decided to go for the sigma kit as I have seen many bloggers were comparing it with MAC brushes. 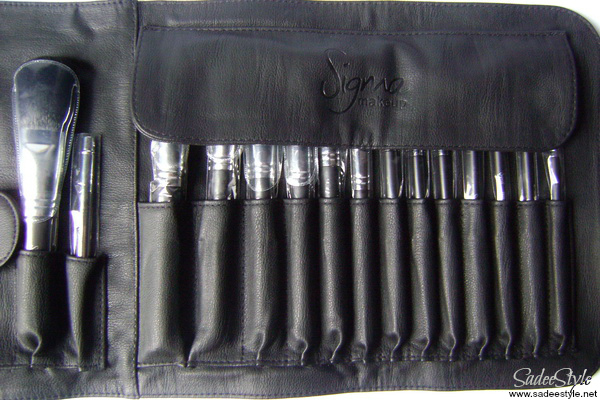 So I bought a Sigma Beauty Premium Professional Brush Kit which comes up in leather brush roll with fifteen essential makeup brushes for face, eye, and lips. There are many review floating around for sigma makeup brushes. 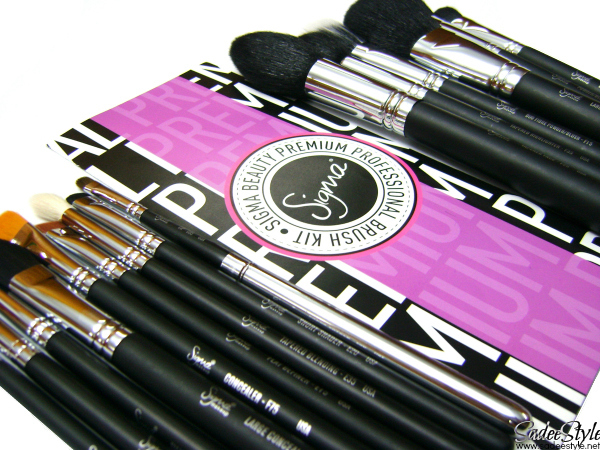 Sigma brushes can be purchased individually or in a set. 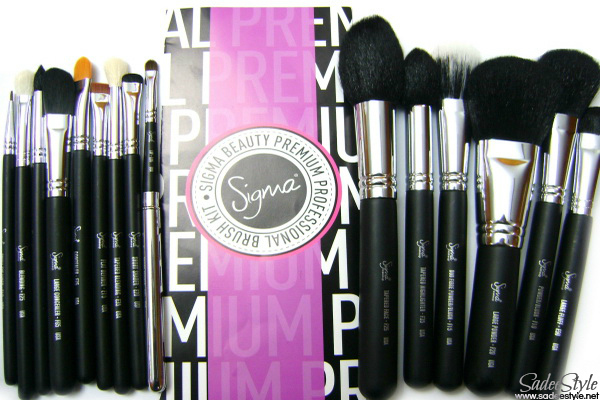 This Sigma Beauty Premium Professional Brush Kit comes with 15 essential brushes for professional use. All the brushes are soft and good quality Although I do not use all of them, but some of them are really useful indeed. 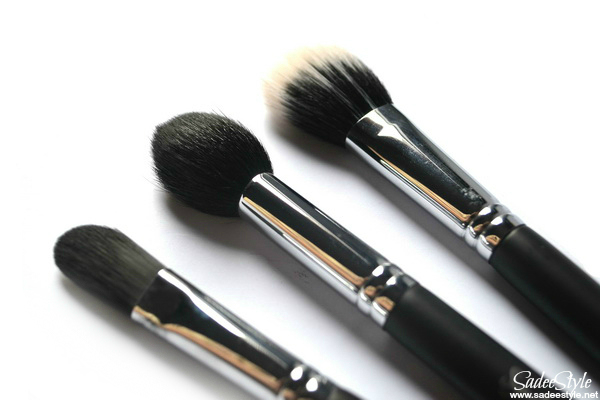 Some of my favourite are Large Powder Brush, Lip Brush, Tapered Blending, Brush, Blending Brush, Small Tapered Blending Brush and Short Shader Brush. I have heard few people having problem with sigma brushes, but they worked great on me. 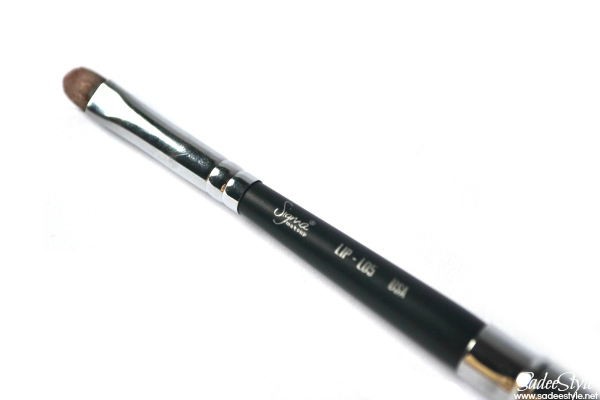 For eyeliner I prefer angel brush instead of this thin brush. I don't use it often until I want a closest eyeliner precision. I don't even know what's the use of this brush, but I sometime use it in under eye area or into waterline to add a color. This one I would say is a best eye shadow brush I have ever used, perfect for adding thick layer of eyeshadow without falling out around. The dense bristle of the brush pick right amount of the color into it's bristle and gives a perfect payoff just in one swipe. Blending brush is very important in eye makeup, but I'm seriously depressed with this brush. It's not so soft like other brushes and did shed a bit. This is the second blending brush in a kit made with the same harsh bristles like the blending brush it's shed too, but a little dense than the blending brush. Another very useful and unique brush of the kit that work best on crease area of the eye and gives the finest and perfect professional eyelook. Large fluff brush is pretty dense and quite large and can be used for blending eyeshadows. It's large enough to use on the face too. It's a medium round brush made with very natural bristles, I love how soft it feels on skin and gives flawless effect. It's perfect for contouring and highlighting. I personally think that its too small for my face. It's a way to harsh, I don't like it and never used it. This one probably a main face makeup brush in the kit, made with very soft and smooth bristles and dense enough to pick right amount of the product and gives a perfect and flawless coverage, ideal for applying highlighter. It can be used for all over finishing power. Honestly I do not know that what is the use of this brush, but it's really soft and made with the same bristles like the large powder brush. The main purpose of this brush is to apply highlighter. I think it's too small for highlighter so I don't use it often. It's a large concealer brush for the face I have never seen such soft and well shaped concealer brush, ideal for covering under eye circles also can be used for applying cream blush.. Although it's a face concealer brush, but I use it to apply an eyelid primer because it's too small for the face it will take ages to cover the whole face with this concealer brush, but it's a stiff which is perfect for spot concealer brush. It's a good stiff lip brush. It's a good stiff lip brush comes with a comes with covering cap that helps keep the brush clean. I love this brush the most in the kit I don't wear a perfect lipstick without it. I always wanted to have my own complete professional makeup brushes set since forever. Before, this I was using Revlon makeup brushes set which only had a five makeup brushes. I've been only using two of them rest were useless. I heard about MAC brushes, but they were very expensive for me then i decided to buy this sigma kit. These brushes feature soft, cruelty free and sleek handles and comes wrapped up in a leather roll. I'm quite satisfied with the quality of the brushes. I have seen many girls were complaining that they shed, but that thing never happened to me. I was disappointed that there is not an angels brush in the kit.. Overall I'm happy to have this kit and I wish sigma would stop increasing the price! Sigma Beauty. Bristles stay in shape well after repeated washes. Premium kit comes in a leather roll, you can use it for travel purpose. 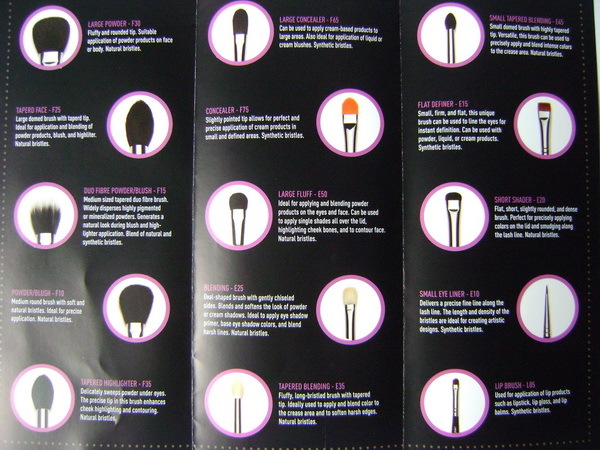 Complete pack with all you need as a professional makeup artist. Have to pay a heavy shipping charges. I do recommend these brushes! Such a great quality brush collection! Everyone should own it! Great review, i like your honesty for blending brush that is hard enough to buy it, if i buy Sigma brushes i will choose another kit or wait for Sigma to overcome this problem .. Thanks for review xoxoox ..
great post! very useful! 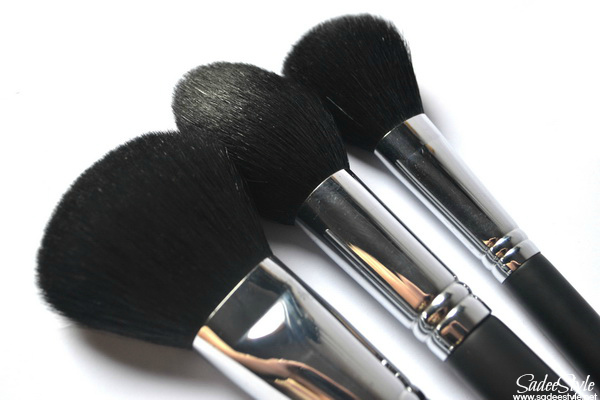 the secret of a mua is one quarter in the brush! hey.. here is the voting open.. I have done <3. Thank you so much!! Great Review I have a few Sigma brush they are a great brushes and I also have Mac brushes and I wont ever compare them because the Sigma brushes do bleed ink no matter what I try to stop this and Mac they dont.So you do pay for what you get. Completely agree! Brushes as as important as the make up. I had a brush that gave me horrible allergies, blah! cute :) love the review.